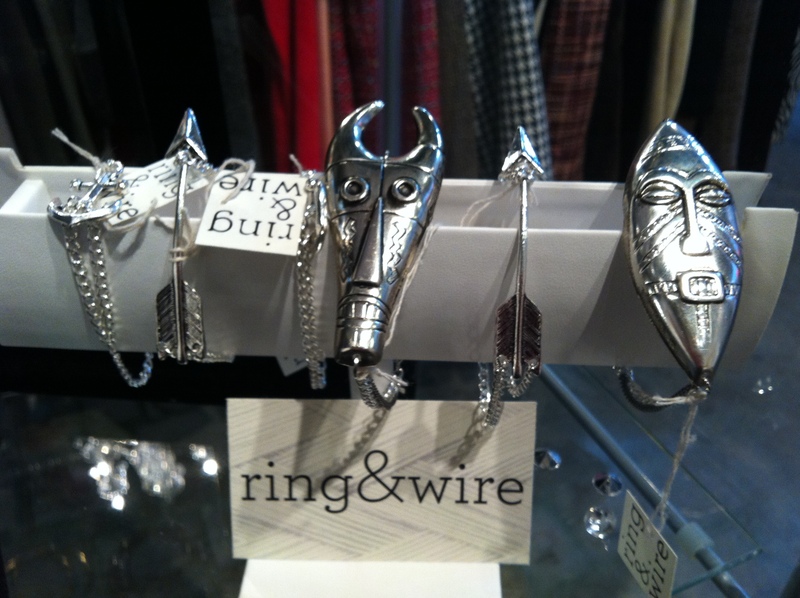 I walked into the store today and stopped in my tracks when I noticed this charming and quirky jewellry line: ring & wire. 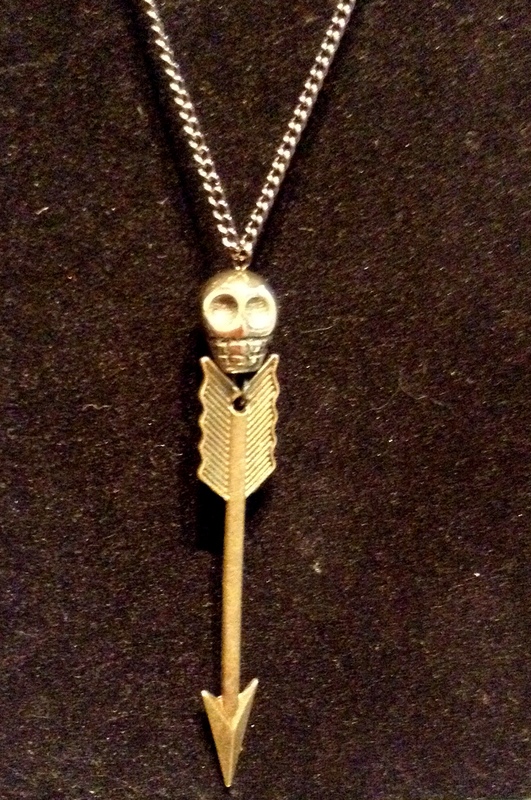 I don’t wear jewellry at all, but when I saw all of the stunning pieces, I wanted everything. 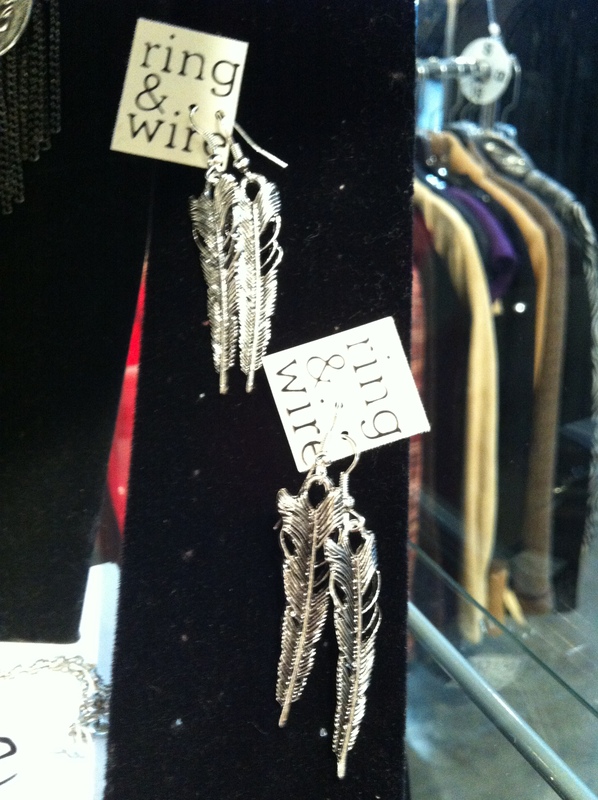 It’s rare for me to fall in love with every single item from a jewellry line, but ring & wire certainly proved me wrong. 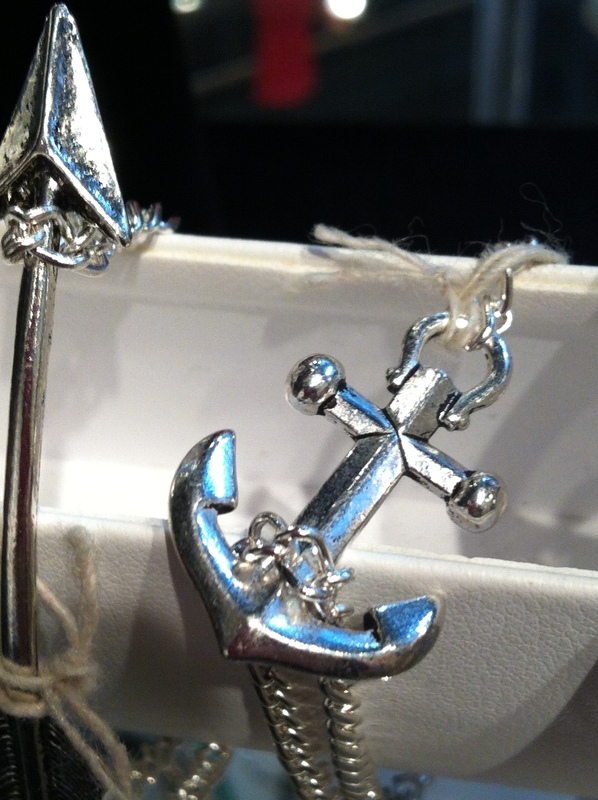 They come in gold, black, and silver. Priced at $10 each. And what about this stunner? 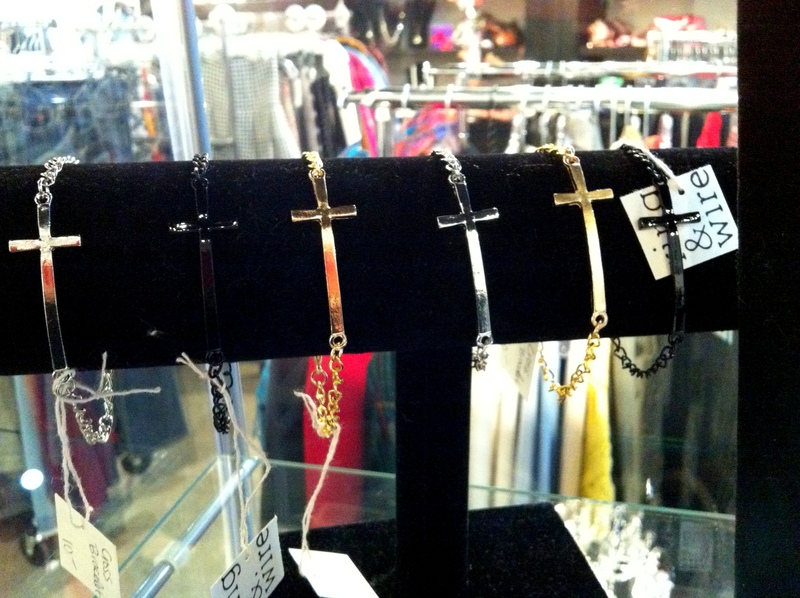 It’s honestly the coolest way to wear a bracelet! Not only is it astonishingly affordable, but it’s all handmade by our very own volunteer Laura Ardieta. You have no idea how proud we are to say that! 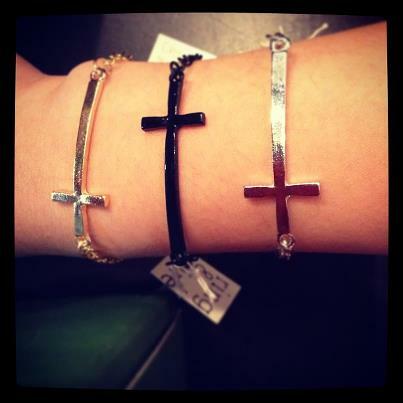 Drop by our store and grab this arm candy! 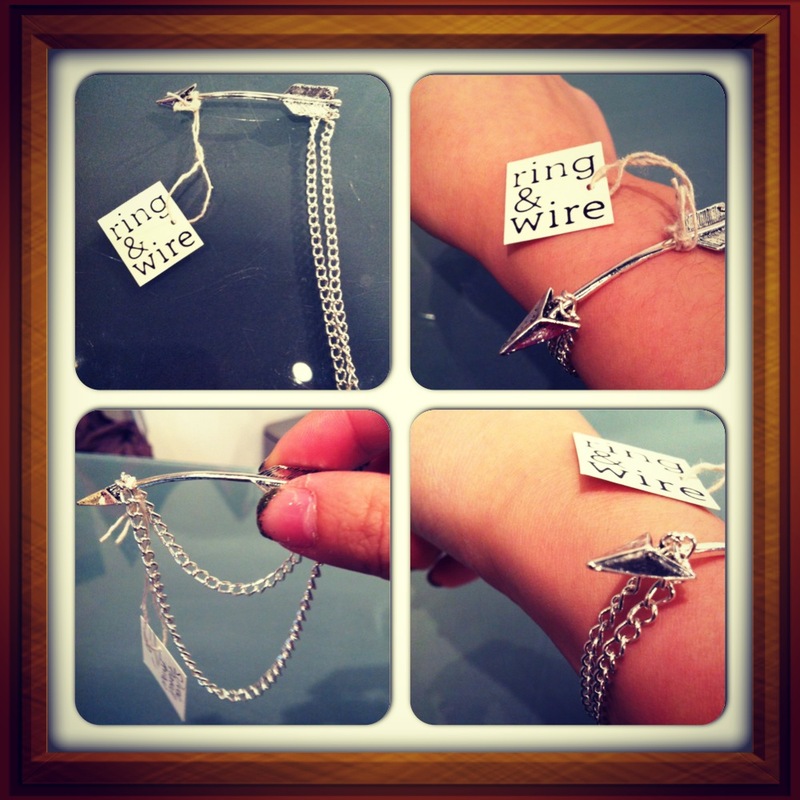 *Don’t forget to check out Laura’s site here – and yes you can order online! 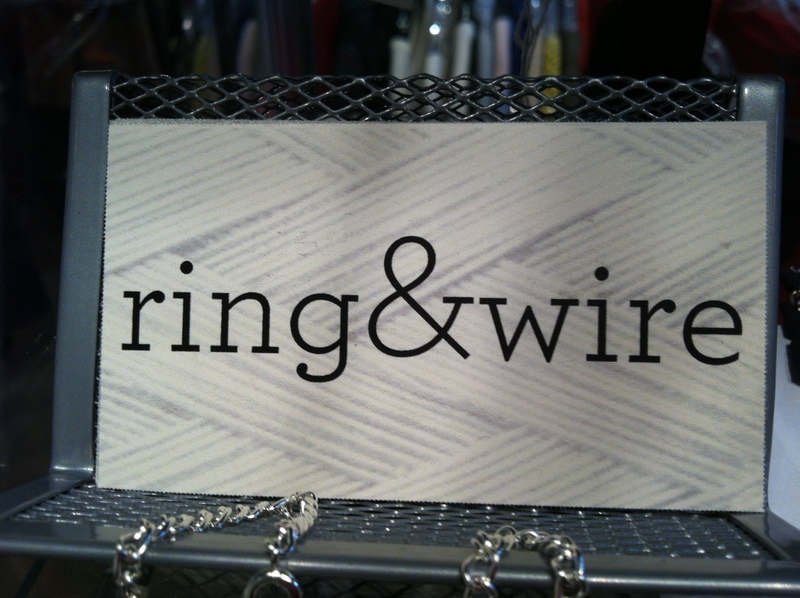 And while you’re at it, why not “Like” ring & wire on Facebook?